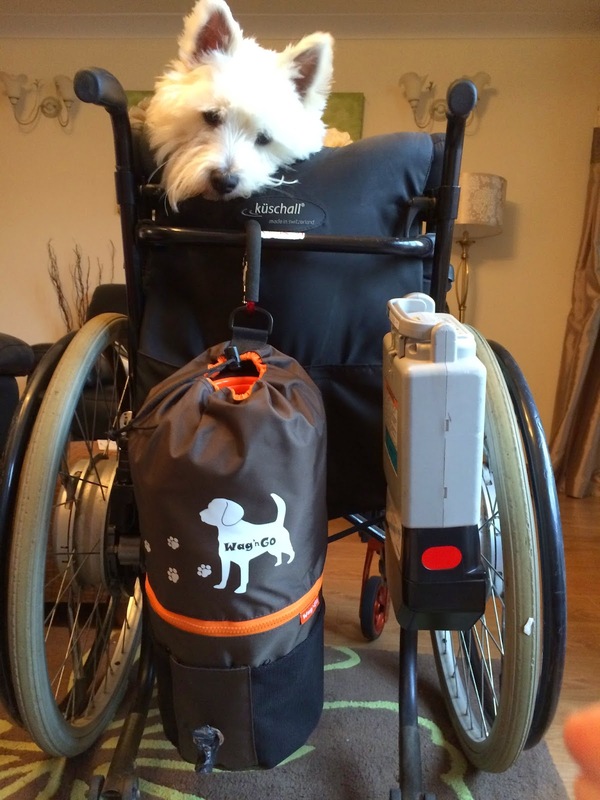 Product Review: Wag N' Go Dog Travel Bag and Discount Code! Lottie will very often go over to Grandma's whilst I'm at the hospital and every time we hand over the lead you will hear her shouting down the drive "anybody would think you are dropping a baby off with this amount of stuff". It really does amaze me the amount of stuff you need to carry around with you when you travel with your dog. 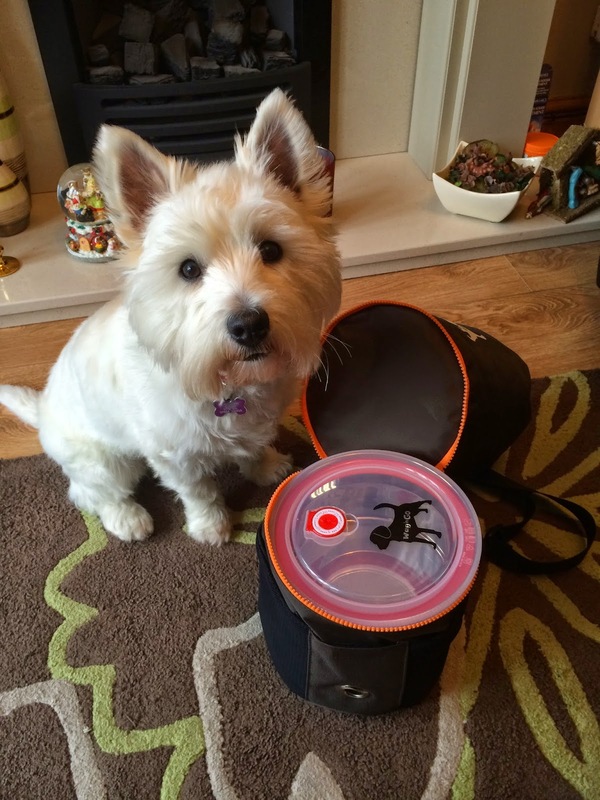 Why would you invest so heavily in your dog and not consider how you are going to carry their things around. Well Wag N' Go have come up with a brilliant solution. 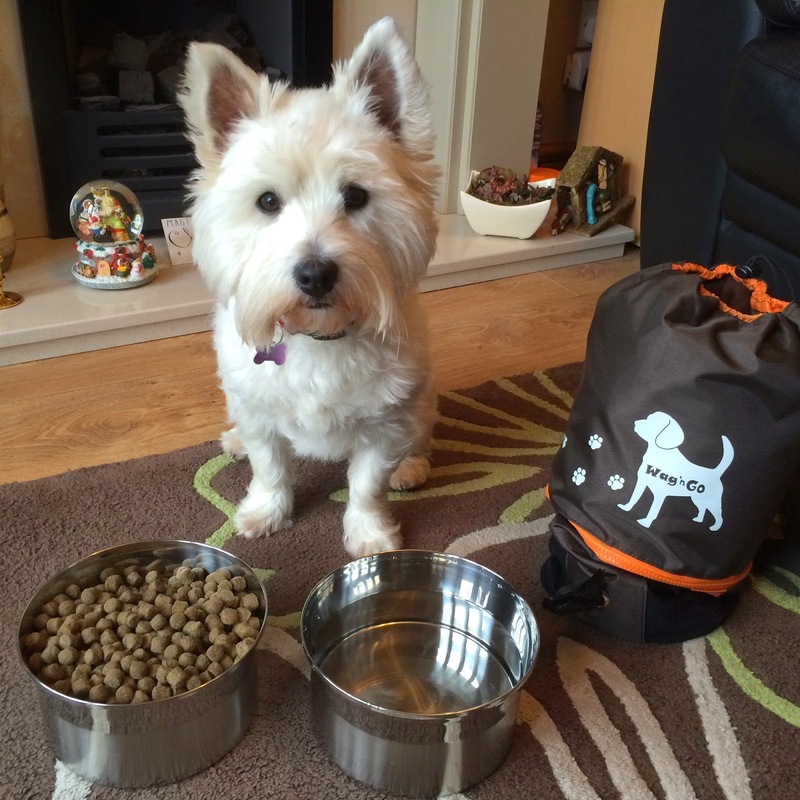 A duffle bag for dogs (and not just any ordinary duffle bag either). You guys will be amazed how much functionality this little bag has. Gave her dog the comforts of home. Packaged in an easy and stylish travel bag. Would work on a vacation, a trip for the day to the office or when her dog was staying over at friends. And so the Wag N' Go travel bag was born. So I hear you ask - What's inside the Wag N' Go Bag? Come on Mum let's open it! I think you forgot to fill them mum! A handy poo bag holder and mesh pockets. Ideal to hold our clicker. What do you mean. I can't eat it all! Just a taste wont hurt. Who would of thought all of this could fit inside. I can even take my favourite teddy. Mum isn't that a great idea. Now we can go out on our own. 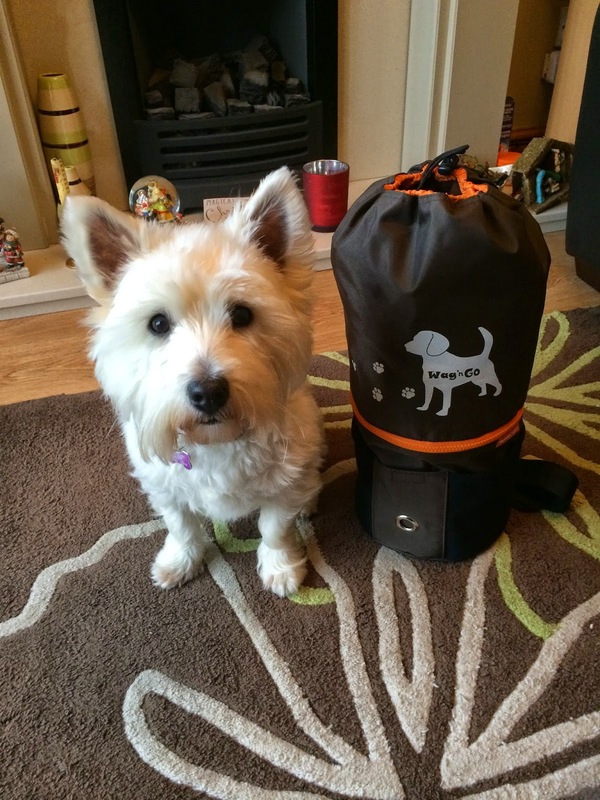 We think the Wag N' Go travel bag is a must have item for all dog owners. 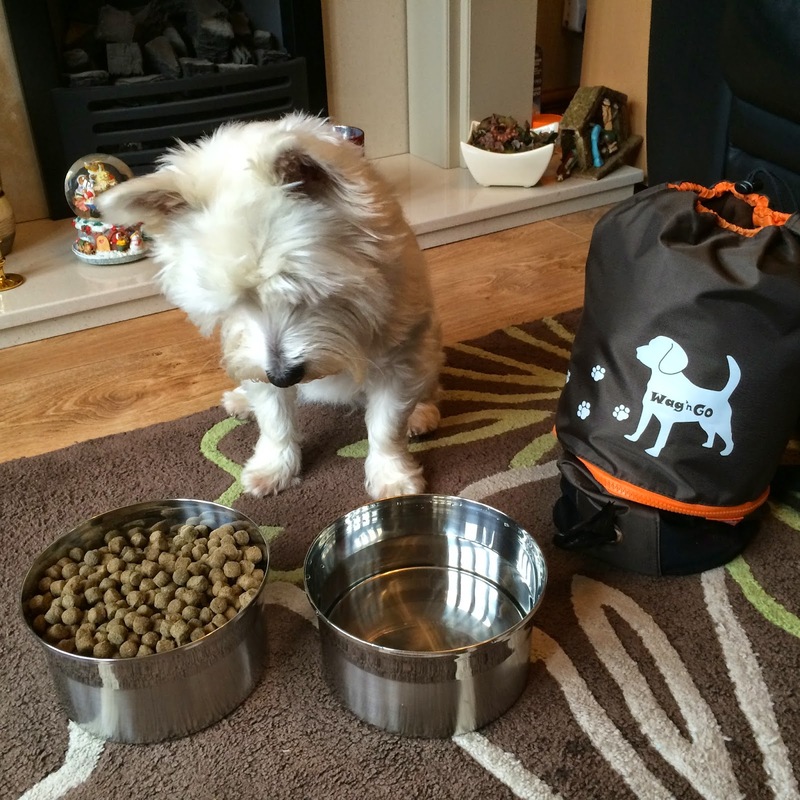 This handy little duffle bag really does cut down your dog's travel bag in half. It has so many uses including holidays, day trips, staying with friends, and even as an emergency doggy bag in earthquake prone regions. 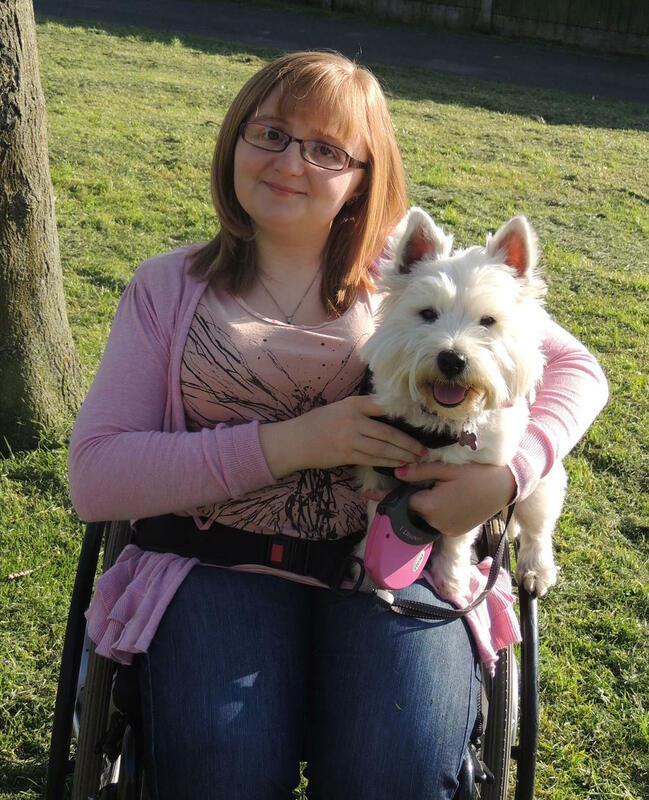 Now we know this is not the 'usual' use but we love the clip on the back as it means it can be clipped to the back of my wheelchair meaning I can take Lottie out independently. That's a huge bonus for us! 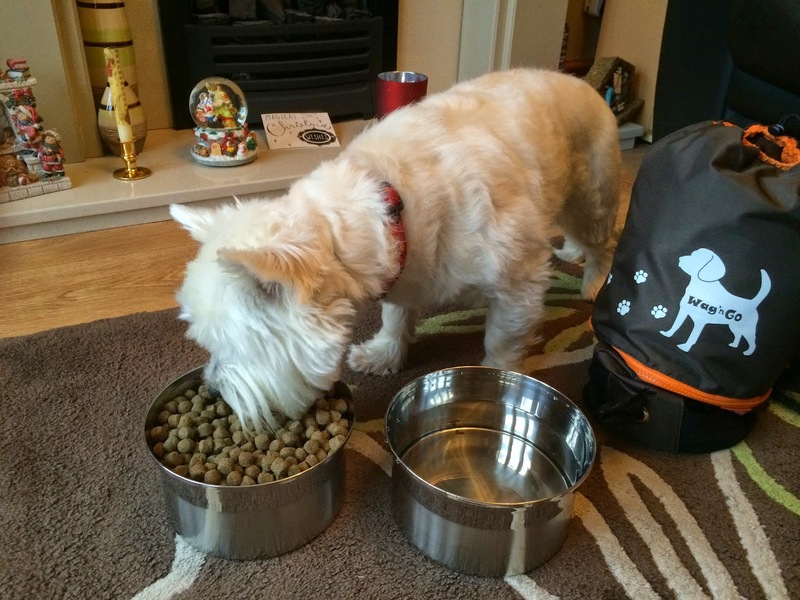 The bowls are great and are certainly water tight (I made sure I put them through their paces). They are a great size and can definately hold at least a weekend's supply of food for a small dog like Lottie. The blanket which is lovely and soft, provides an ideal sleeping blanket or sofa cover when visiting friends. Lottie could even fit one of her doggy friends on with her as well. Even when the blanket is folded up inside there is still plenty of room to house a few toy favourite's making sure your pet feels settled where ever they are going. The padded handle make sure you are kept comfy too. Lastly the handy poo bag holder and mesh pockets make sure you don't forget those all important essentials. Lottie and I give it a massive 5 out of 5 in her woof rating. 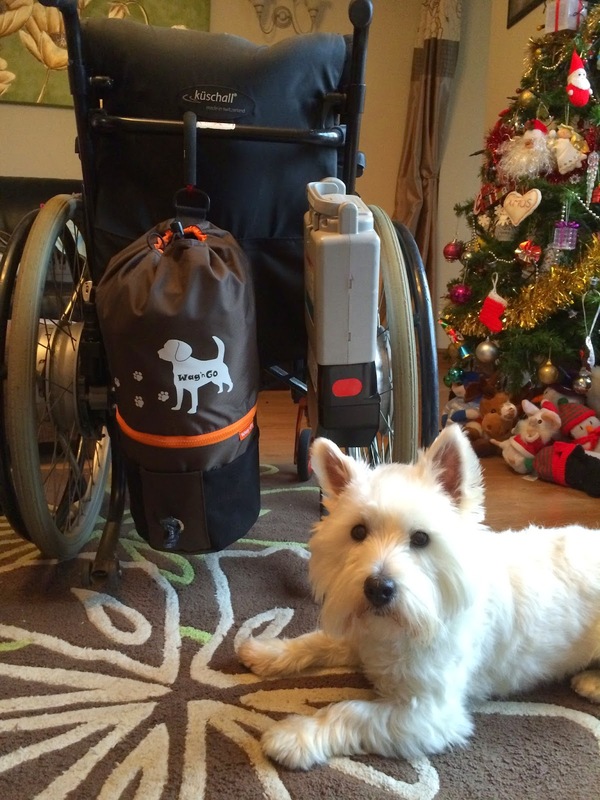 It means Lottie will always have her essentials and I can strap it to the back of my wheelchair and off we go. So that you guys can experience the Wag N' Go for yourself. Trina has very kindly offered our readers a discount code. 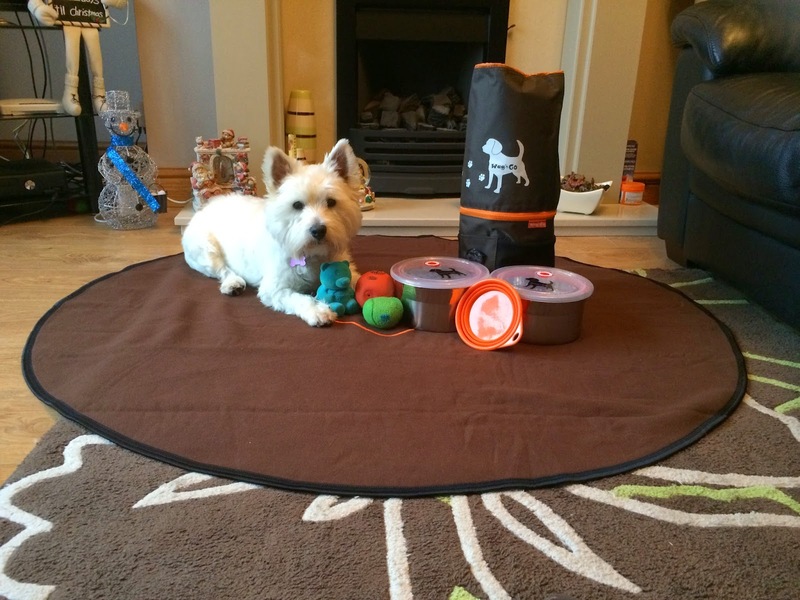 Simple enter WAGGYTALES at the checkout to receive £10 off your order. A bargain in anybody's eyes! To browse their great range of products simply click here. 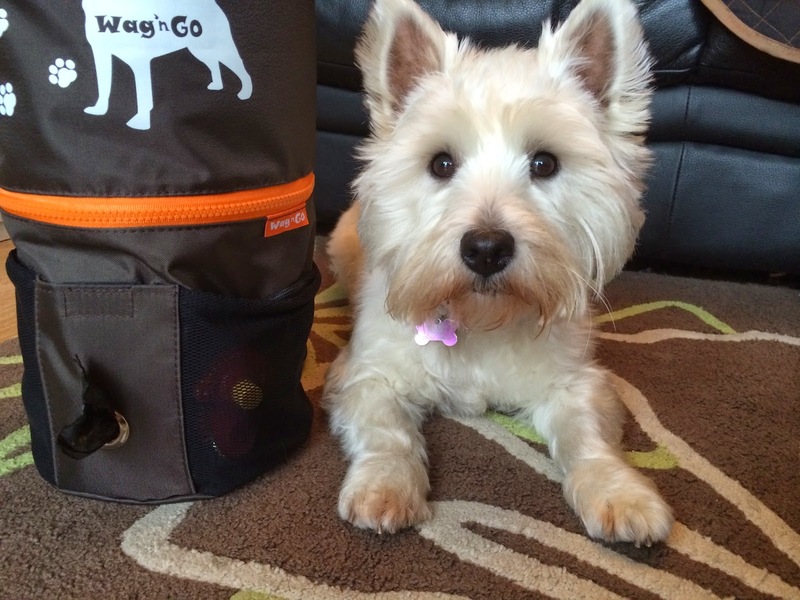 We received a Wag N' Go Travel bag from Wag N' Go at no charge in exchange for our honest and fair review of their products. All opinions expressed here are our own and truthful!